Speak Up For The Ocean Blue raises awareness of the variety of ocean science and conservation projects conducted all around the world. 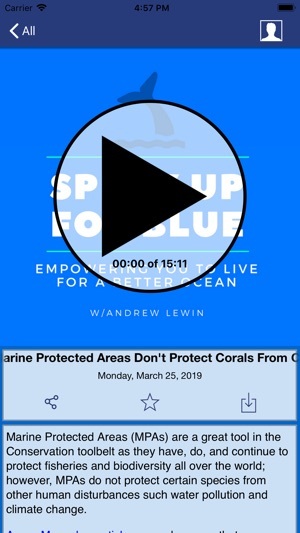 It educates you, the listener, on the different Ocean Conservation Projects that are happening around the world. 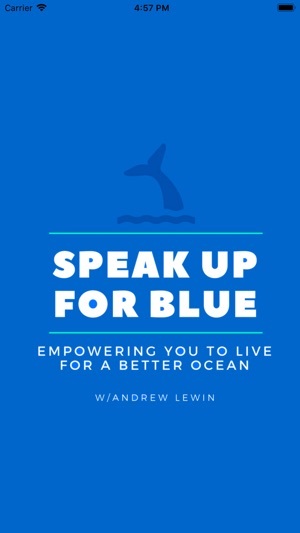 By listening to our guests, I hope to inspire you to live an ocean-friendly life through their stories and the information I provide to guide you towards a living a life that will be healthy for the Ocean. In the episodes, I discuss, sharks, marine mammals (whales, dolphins, manatees, sea lions, seals), seabirds, fish (tuna, salmon, mackerel, cod, etc) as well as ocean issues like climate change/global warming (ocean acidification, increased sea temperatures, sea level rise, arctic melting, changing weather patterns), water pollution, plastic pollution (single-use plastic), coastal development, overfishing, whale hunting, fish poaching and more. This app includes mobile playback features and content you can’t get anywhere else. Custom controls allow you to control your app experience and modify media and playback quality. Drag and drop in your favorite list and continuous playback settings keep the experience as unique as your mobile habits. Share comments with fellow fans about the latest insights and call the show directly or connect via social media. This app has a Car mode too! Rotate your phone to display larger playback controls. 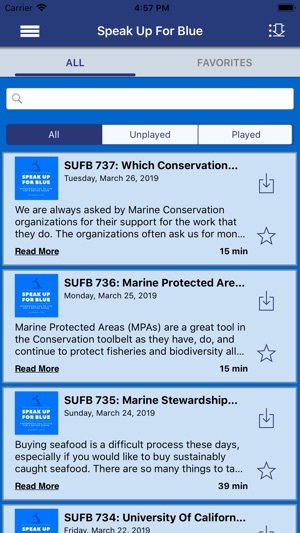 The Speak Up For Blue Podcast is here to keep you updated on the latest Marine Science and Conservation News, People, Projects that are happening around the world. It also helps guide you to make better decisions to live for a better Ocean. 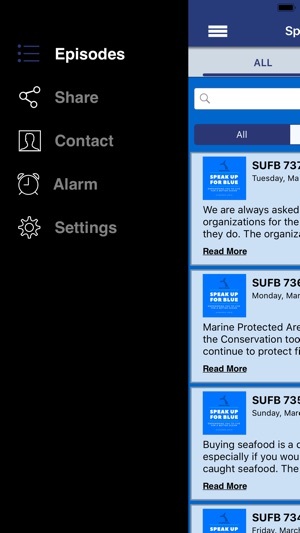 Speak Up For Blue Media and Communications Inc.